Fueled by Passion, thrived by CREATIVITY, that’s the easiest way to describe our team members. get to know us. 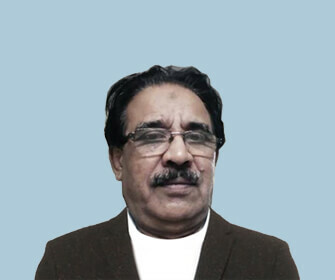 Ex- Banker (Retd. State Bank of India – Audit Manager) with over 35 years of experience in managing finance, banking operations, Branch & Audit Management. Mr. K N KHAN comes with a world of experience and adds great value in company’s aggressive expansion plan. With his core experience as a banker, he has been guiding the business with a practical YES or NO on the finance front and having a large practical worldly experience helps the management maintain its accelerator on decision making. With his love towards reading leadership & religious books, he believes in adding 1% personal and professional growth everyday. Faizan is an Honors graduate in Commerce from the Calcutta University and a Master in Business Administration (MBA – Operations Management). He has an in depth work experience of thirteen years with names like General Electrics in his pool of served clients. His contributory role is perfectly mirrored in the large scale expansion of BusinessPro Designs & Limtex Infotech Ltd. from two to seven countries in a mere span of two years. Showcasing a spectacular performance, his astounding records have been acknowledged throughout. Presently, he heads Onqanet Family as The Managing Director @ Onqanet Technologies and is working aggressively towards the organizations Vision of having “99.999999 % Growth through word of mouth and references”. 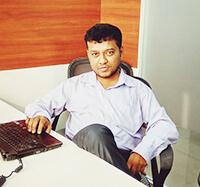 He is confident that Onqanet Technologies would be one of the leading IT service providers in Eastern India by 2018. Admired for his zeal and vivacious persona, the inherent sense of humor lends a complete definition to his individuality. Enthusiastic about the goal of holding the leading market share in the global web realm, his unfailing attitude sets him apart distinctly. A versatile BBA graduate with over 11 years of experience in the BPO industry, our talented COO (Client Relations) Ritu Khan is a team builder and people’s person. Her eventful career includes a 5 year tenure in the BPD industry and as a client service manager in her last organization, before becoming a key part of the Onqanet Technologies team. Her expertise helps us build strong relationships with our clients, service them better and retain them effectively. 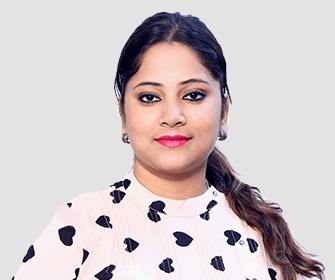 Ritu is also a social media expert who is interested in hobbies such as blogging, travelling and reading. agittis. Abhishek Agarwal, our VP is a charismatic leader with an eye for talent and innovation that matches our service standards. He completed his education from the well renowned Apeejay School in Kolkata, and went on to gain over 13 years of valuable industry experience in the web & digital solutions industry. 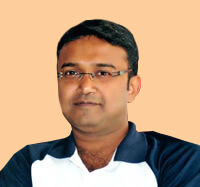 He’s been in leadership roles in business organizations such as Vishnu Solutions Pvt Ltd, LimtexInfotechPvt Ltd and as a Sales Head at BusinessPro Designs, before becoming a key part of the Onqanet family. A capable leader who exudes utmost dedication and confidence, Abhishek’s impressive list of skills cover various aspects from training employees, to managing teams and operations, adhering to performance and quality standards, and taking on problems head on. He’s a man of various skills and valuable insights, which have helped us simplify our day to day operations, and motivated our workforce to give our best on every single project. Popular by his nickname Max in industry circles, Abhishek is a lively personality and a desire to help us surpass our own expectations, and build on our past successes. Moving forward, Abhishek’s management & leadership skills, along with his ability to take key decisions, will help us progress towards achieving greater heights of professional excellence. Thuhina is a B.SC., Computer Science Honours graduate from the esteemed Scottish Church College in Kolkata and our talented design lead. She has been part of several high profile organizations such as TS Web Technologies, WinWebTech Solutions, Reverso in her 5 year career. 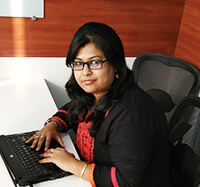 Trained in web designing from a reputed institution, and always on the lookout for finding and implementing the latest design trends for our clients’ projects, She is a highly motivated professional with a desire to become an expert in the web design industry. An energetic individual and dedicated team player, She upholds the standard of the web design aspect of our business consistently. 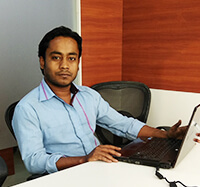 Jayanta is a graduate from Barasatcollege and a post graduate in software development from Brainware Computer Academy. 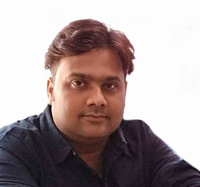 With over 5 years of web development experience in companies such as SuperiaInfo Solution PvtLtd and LimtexInfotech, Jayanta is a true innovator and passionate problem solver. 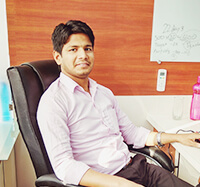 Shahid, our ever dependable Project Management Lead, is a graduate in B.Com from Calcutta University with 2 years’ experience, as a Sales Executive for LimtexInfotech and now in Onqanet. A supportive individual with a strong belief in good team work, and a fast decision maker, He consults directly with our clients and understands their requirements, so we can deliver what they need, within the stipulated times. He offers valuable design, development and marketing insights to our customers to help them grow their business and succeed in today’s competitive business markets. Sufian who is an young, dynamic and full of energy person after completing his graduation, started his career in International bpo. After acquiring the sales and online marketing knowledge, he decided to pursue MBA . During his MBA , he gained huge managerial skill and the art of selling, he also did his internship in Esteemed Organizations like Zee tv and Bharat Matrimony. He was soon placed in Indusind Bank as Customer Service and Sales Manager. After gaining the Managerial and sales skill he joined Onqanet as a Sales and Project Manager, he is consistently trying to grow the business with a vision of taking the company to the next level. Extremely calm but aggressive in his work, he doesn’t believe in monotonous work and always looks for new ideas. With his dynamic personality and never say die attitude he is proving to be an Asset to the company. Souvik is a B.Sc (Pure science) graduate with a passion for analyzing and solving all types of technical challenges faced by our business. 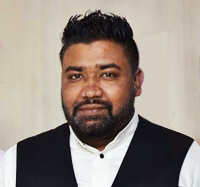 An integral part of the Onqanet team, Souvik is an ever reliable professional with over 12 years of valuable industry experience with IT organizations such as Octagon, Descon Soft, LimtexInfotech and Alliance. 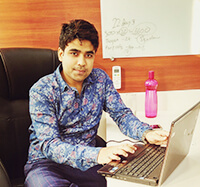 Equipped with a ‘never give up’ attitude, Souvik uses his expertise to tackle any technical issues that may crop up on a daily basis, and help us adapt to and implement the latest technical standardizations in the web development, design and digital marketing spheres. From communicating one on one with team members, to preparing the organization for scalability, performance and usability, he’s the go-to man for all our core technical needs. Bikram is a Bachelor of Commerce graduate from Calcutta University (C.U.) and in charge of generating high-value leads, marketing the organization as the reliable service provider for potential customers, and initiating long and fruitful relationships with our growing list of international clients. With around 7 years of experience in sales with renowned organizations such as Wipro and Limtex, Bikram helps Onqanet accelerate its already impressive portfolio. Bikram is a positive minded individual, with an unending drive to find and connect to clients who can benefit from our wide range of web and digital services. Our organization relies on Bikram’ excellence in sales and customer management to move forward towards even better client retention, and uninhibited growth.